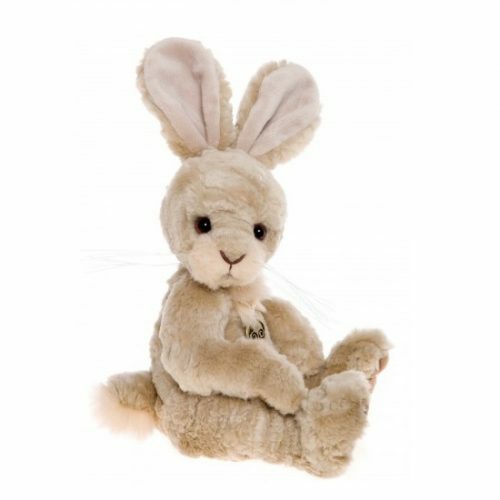 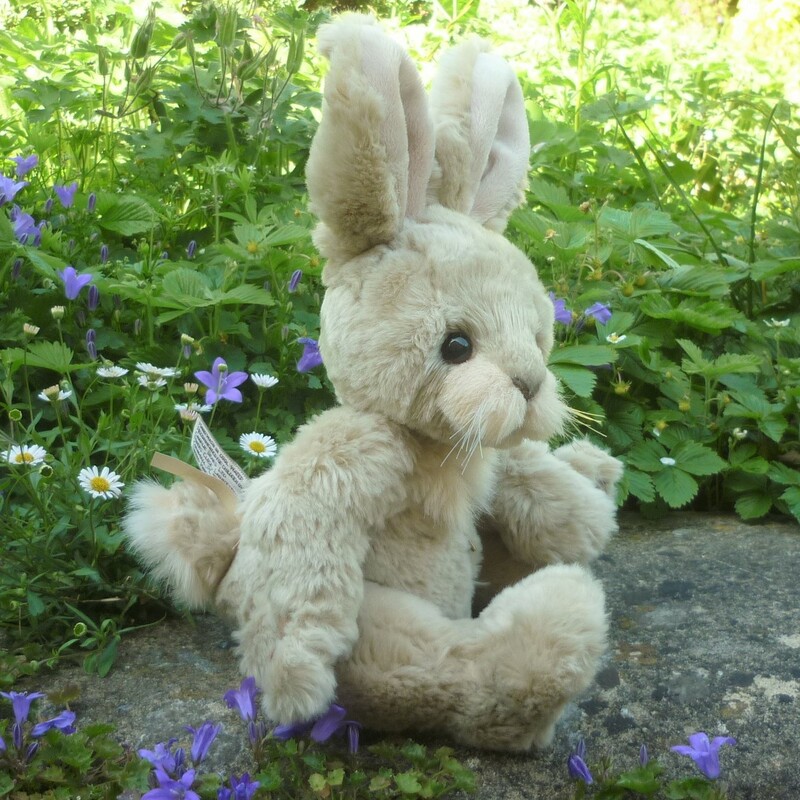 Bianca rabbit is made of ultra-soft beige plush with a cream nose and chest, velour inner ears and a fluffy tail. 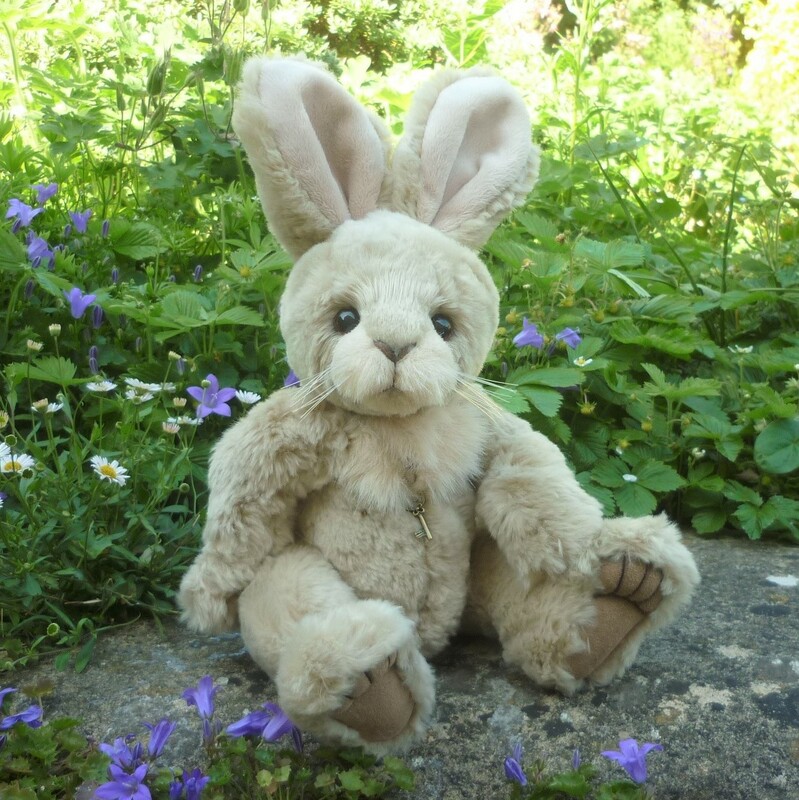 She has wire thread whiskers, amber and black eyes, a stitched nose and her arms are shaped at the wrist allowing for posability. 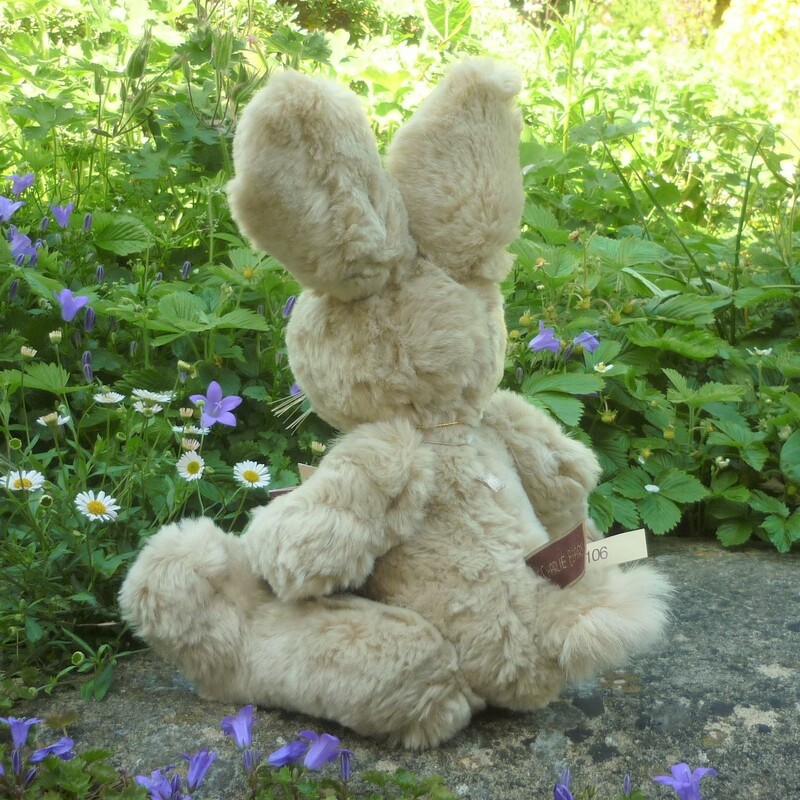 Stitch-sculpted paw pads finish her look and she wears a small vintage-style key pendant on a silver ribbon.